Did you know that there are seven types of roses that grow in the region of the Holy Land? 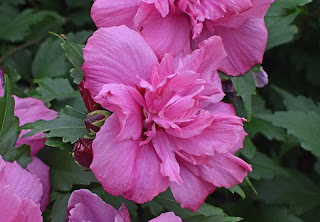 But none are more popular than the Rose of Sharon. Sharon is a region of the country that goes from Joppa to Mount Carmel. It is known as “The Beautiful Region” for many reasons, but one of the reasons is the Rose of Sharon. It is symbolic of peace and tranquility. The world is looking for and longing for peace, but the peace this world has to offer is evasive. It reminds me of the following. A retired couple was alarmed by the threat of war and nuclear weapons so they undertook a serious study of all the inhabited places on the globe. Their goal was to determine the place in the world least likely to suffer the ravages of war or nuclear destruction. Their goal was to find a place of ultimate security. So this couple studied and traveled, traveled and studied. Finally, they found the place. They made their plans. They sold their home. They packed their possessions. And they moved. Christmas of 1981 they sent their pastor a card from their new home. Three months later the pastor was praying for their safety. You see, their new home, the Falkland Islands, was invaded by Argentine troops on April 2, 1982. Now you can try as you want and try as you will, but the only way you will have peace is the inner peace that comes through knowing Jesus Christ as your personal Savior. So the next time you see a rose, remember peace – the peace only God can give. ✞ When you see or hear of a rose, remember inner peace. The inner peace that comes only from God.